Found in the corner lending library of our favorite local breakfast hangout. Apple Paperbacks were a staple of my late elementary-school reading, though I honestly can’t say I remember them hewing so closely to assigned gender targets as Boys Are Yucko! obviously tries. Certainly there were books tailored for girls that I avoided: Are You There, God? 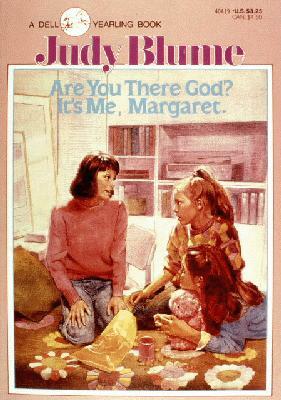 It’s Me, Margaret (a Dell Yearling paperback) was practically radioactive in both cover and title. But there was other books with female protagonists that were less pinpointed in their themes. I do remember reading Freaky Friday, which had a girl protagonist who was into a boy. And I might have read Katie’s Baby-Sitting Job—the cover looks familiar—but I don’t remember for sure. From this fan’s collection I remember reading Just Tell Me When We’re Dead! and the original Upchuck Summer (mentioned in this post), neither of which got much into coming-of-age subject matter, as I recall. Also, of the titles mentioned here, I believe Aldo Applesauce was, appropriately, an Apple Paperback. According to Anna Grossnickle Hines’ website, Boys Are Yucko! is the sequel to an earlier protofeminist treatise, Cassie Bowen Takes Witch Lessons (Dutton, 1985). You are currently viewing the archives for April, 2015 at Neil Serven.